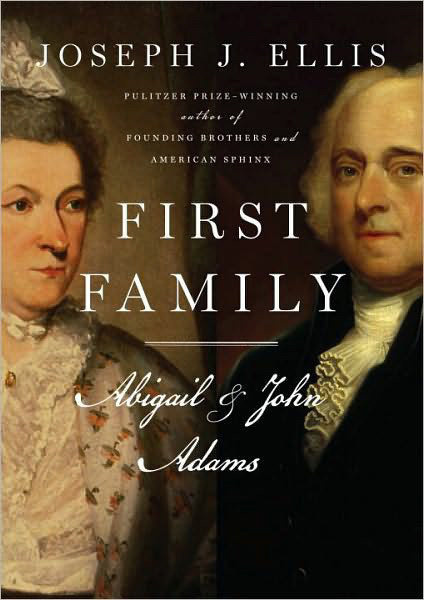 First Family – Abigail and John Adams by Joseph J. Ellis is more than an interesting history book, it is a touching love story. The book is so beautifully crafted; I didn’t want it to end. John and Abigail’s story has long been of interest to me. 1776 is one of my favorite plays. While reading this book, I learned so much more than I already knew about this famous couple. I also learned more than I ever knew about the founding of this great country. Without question, John Adams was a great man, but this book provided me with greater insight into the workings of his mind as recorded in the vast written records he so carefully preserved with the knowledge that he was an influential player in a once in a lifetime historical event. The majority of the Adams children did not all fare as well as their esteemed parents, and I found that to be very sad. Given that their parents were separated for so much of their lives, it is perhaps, no wonder. Even though the events in this book happened so very long ago, I could not help but think as I read it, that the business of politics has changed so very little. This book is worth reading on many levels and filled with interesting stories to share with your children. This entry was posted in Uncategorized and tagged 1776, Abigail Adams, Books, Ellis, John Adams. Bookmark the permalink. This sounds good. Thanks for adding to my endless list of books to read. Have you ever seen the musical 1776? Great music, interesting perspective on history, and a little peak into the relationships of Mr. & Mrs. Adams and Mr. and Mrs. Jefferson. This book is GREAT! I have seen the movie, own a copy in fact, but saw and loved the play as well. The book really goes into detail on the Adams – Jefferson relationship over the course of their lifetimes. It is very enlightening. It will not take you long to read the book and I hope you love it too.